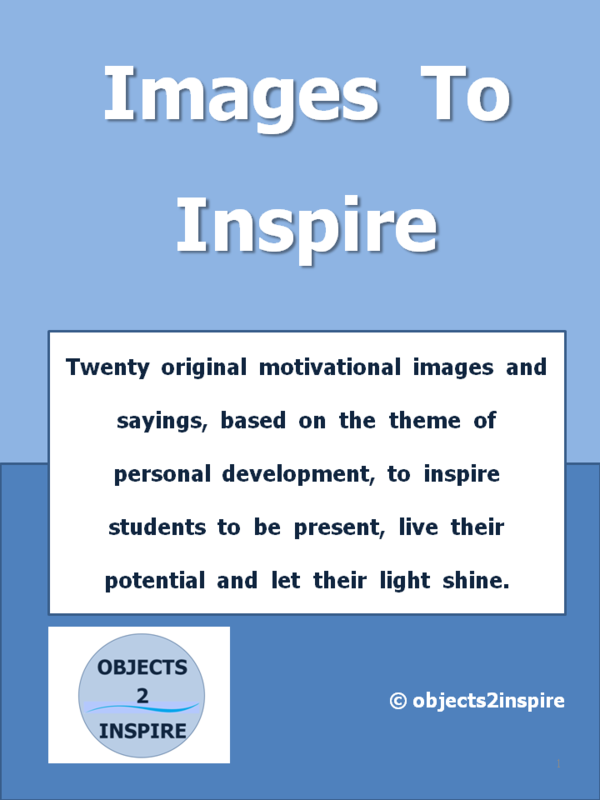 Twenty original motivational images and sayings, based on the theme of personal development, to inspire students to be present, live their potential and let their light shine. The collection covers various aspects of the learning process, including dealing with procrastination and adopting a winning mindset toward studying. Arranged in alphabetical order, this product can be used as a resource for group discussions as well as material to motivate individuals to achieve success in their academic and non-academic activities. With its emphasis on encouraging a positive attitude towards life in general and education in particular, More Images To Inspire is ideal for any development environment. 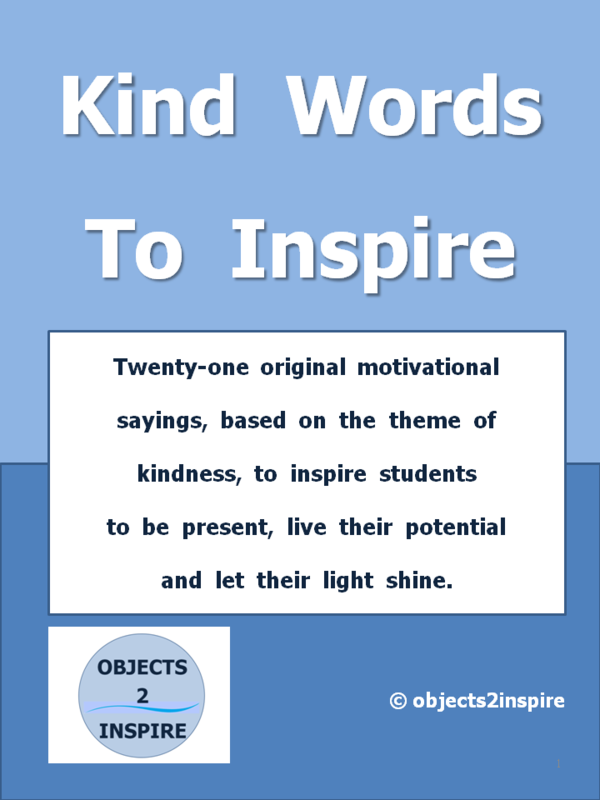 Kind Words To Inspire is a collection of twenty-one original motivational sayings, based on the theme of kindness, to inspire students to be present, live their potential and let their light shine. The sayings are arranged in alphabetical order, three per page, to provide input for student reflection. This free product can be used as a resource for group discussions as well as material to motivate individuals to achieve success in their academic and non-academic activities. With its emphasis on encouraging a positive attitude towards life in general and challenges in particular, Kind Words To Inspire is ideal for any development environment. 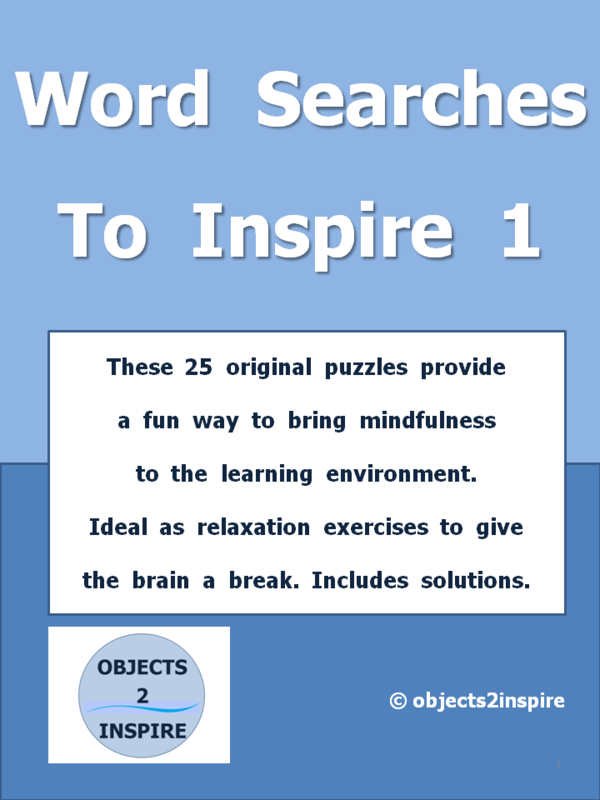 These 25 original puzzles provide a fun way to bring mindfulness to the learning environment. Ideal as relaxation exercises to give the brain a break. Includes solutions. Rich in vocabulary, these word searches are an entertaining way to challenge and stretch the mind away from the usual study process. The categories are set out alphabetically, ranging from Awareness to Winter. This product can be used as either standalone material or as supplementary exercises for discussions relating to mindfulness. Word Searches To Inspire 2 is ideal for any development setting. Rich in vocabulary, these word searches are an entertaining way to challenge and stretch the mind away from the usual study process. The categories are set out alphabetically, ranging from Attention to Well-being. This product can be used as either standalone material or as supplementary exercises for discussions relating to mindfulness. Word Searches To Inspire 1 is ideal for any development setting. 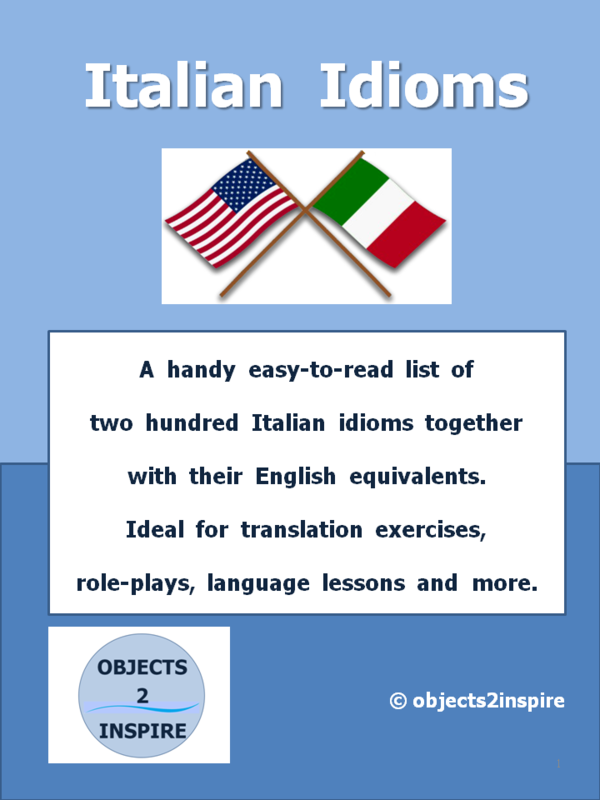 A handy easy-to-read list of two hundred Italian idioms together with their English equivalents. Ideal for translation exercises, role-plays, language lessons and more. Italian is a language rich with idioms. Everyday speech is full of colorful expressions. Sometimes their significance is clear. On other occasions, we should refer to similar expressions in English to understand the meanings. For example, “Al punto di partenza” is similar to “To be none the wiser”. This product can be used as either standalone material or as supplementary input for existing learning programs. It is aimed at students who require a more in-depth knowledge of Italian. With its emphasis on comprehension, Italian Idioms can assist in overcoming barriers to understanding, increase confidence and enhance communication when using Italian. A useful collection of tips, hints and ideas to help students acquire, retain and use knowledge for maximum impact as they progress with their studies. The information is arranged in bite-sized chunks to provide easy input for reflection. This product can be used as a resource for group discussions as well as material to motivate individuals to achieve success in their academic and non-academic activities. With its emphasis on encouraging a positive attitude towards personal growth, the Study Dos and Don’ts product is ideal for any development environment. The wider the range of words we understand the better we can communicate in Italian. 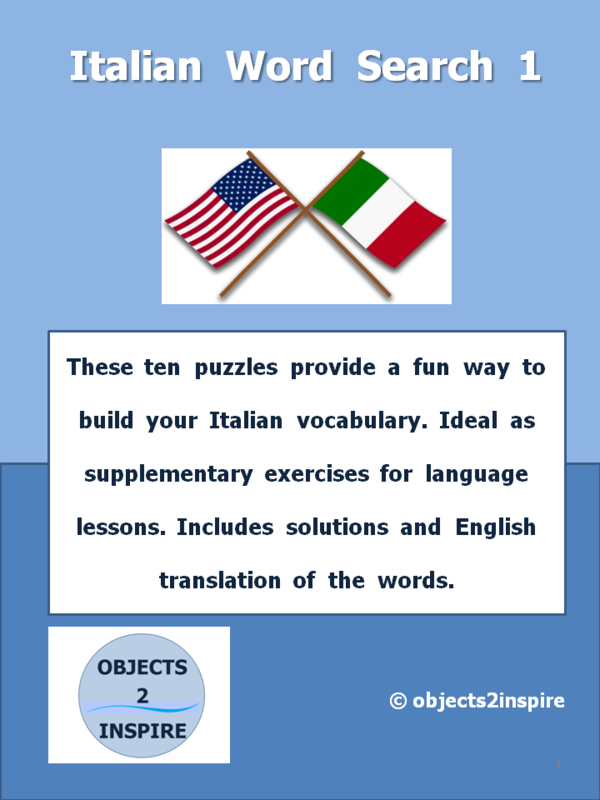 These ten puzzles have been created using words grouped into various categories to provide a fun way to build your Italian vocabulary. Solutions, plus the English translation of the words making up each word search puzzle, are included in this offering. This product can be used as either standalone material or as supplementary exercises for language lessons. It is aimed at students who require a more in-depth knowledge of Italian. With its emphasis on encouraging a positive attitude towards language learning, Italian Word Search 2 is ideal for any development environment involving the Italian language. With its emphasis on encouraging a positive attitude towards language learning, Italian Word Search 1 is ideal for any development environment involving the Italian language. 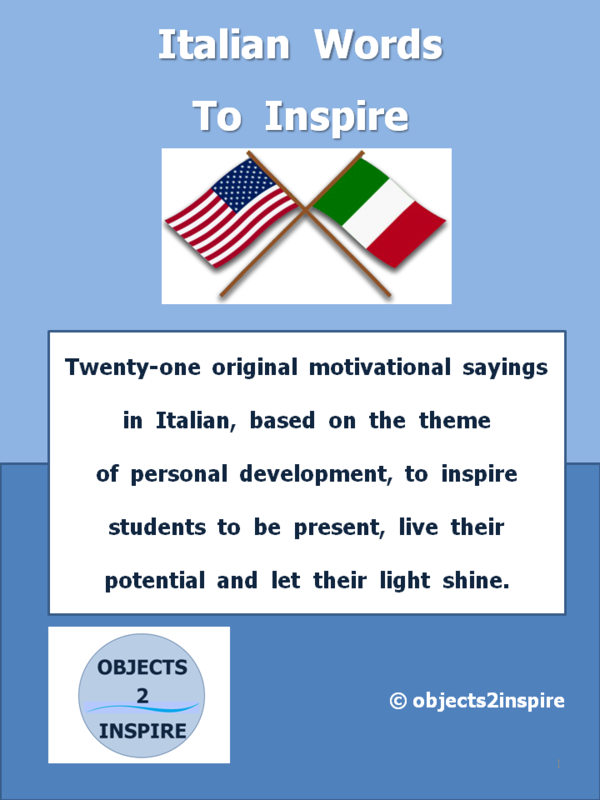 Twenty-one original motivational sayings in Italian, based on the theme of personal development, to inspire students to be present, live their potential and let their light shine. The sayings are arranged in alphabetical order, three per page, to provide input for student reflection. This free product can be used as a resource for group discussions as well as material to motivate individuals to achieve success in their academic and non-academic activities. With its emphasis on encouraging a positive attitude towards life in general and education in particular, Italian Words To Inspire is ideal for any development environment involving the Italian language. Twenty original motivational images and sayings in Italian, based on the theme of personal development, to inspire students to be present, live their potential and let their light shine. The sayings are arranged in alphabetical order to provide input for student reflection. This product can be used as a resource for group discussions as well as material to motivate individuals to achieve success in their academic and non-academic activities. With its emphasis on encouraging a positive attitude towards life in general and education in particular, Italian Images To Inspire is ideal for any development environment involving the Italian language. More Words To Inspire is a collection of twenty-one original motivational sayings, based on the theme of personal development, to inspire students to be present, live their potential and let their light shine. 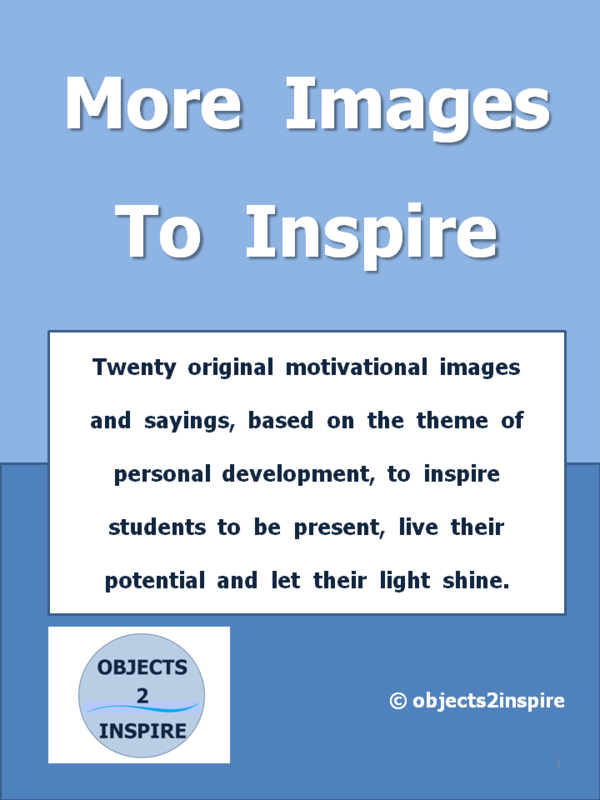 With its emphasis on encouraging a positive attitude towards life in general and challenges in particular, More Words To Inspire is ideal for any development environment. More Poetry To Inspire is a collection of twenty original motivational poems, based on the theme of personal development, to inspire students to be present, live their potential and let their light shine. The poems cover various aspects of the learning process. 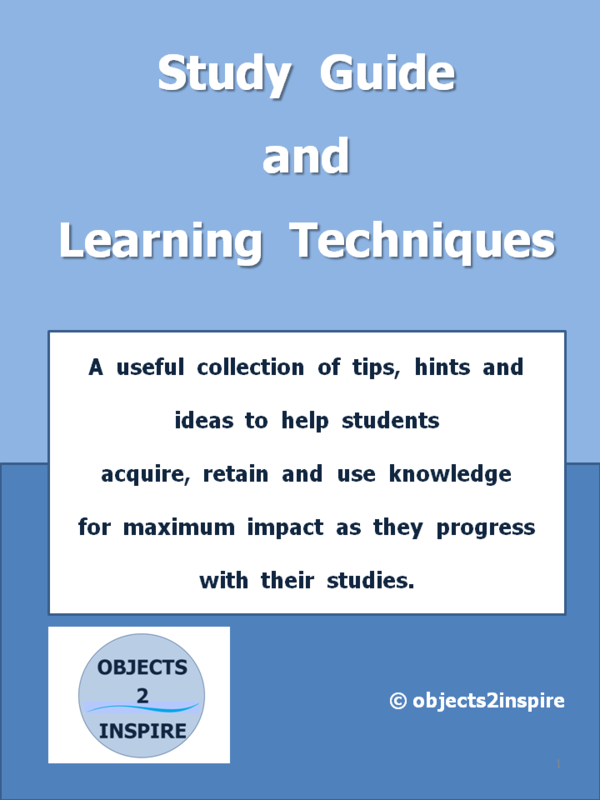 This collection can be used as a resource for group discussions as well as material to motivate individuals to achieve success in their academic and non-academic activities. With its emphasis on encouraging a positive attitude towards life in general and education in particular, More Poetry To Inspire is ideal for any development environment. 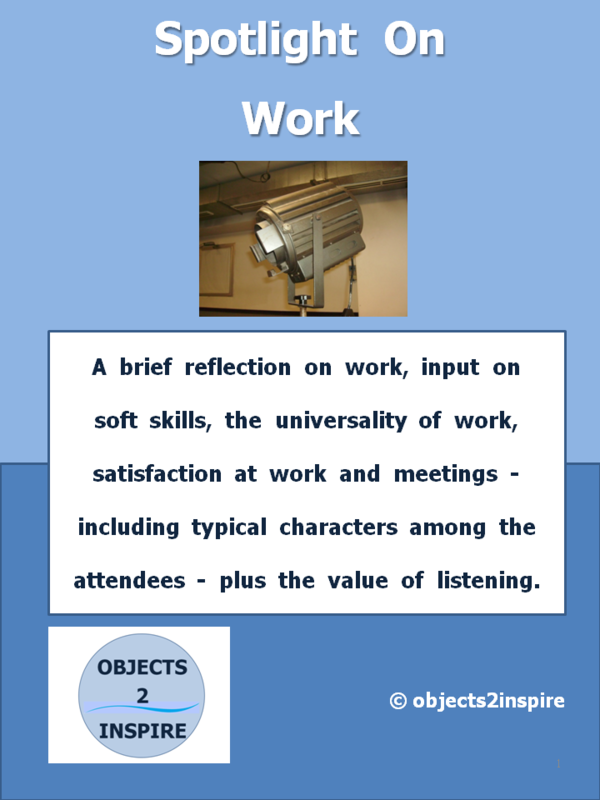 A brief reflection on work, input on soft skills, the universality of work, satisfaction at work and meetings – including typical characters among the attendees – plus the value of listening. Work in our modernized, developed world occupies around a third of each day of the working week. Spotlight On Work has been created to help students gain insight into various aspects of work. This product can be used as a resource for group discussions as well as material to assist individuals to achieve success in their academic and non-academic activities. With its emphasis on encouraging a positive attitude towards work, Spotlight On Work is ideal for any development environment. 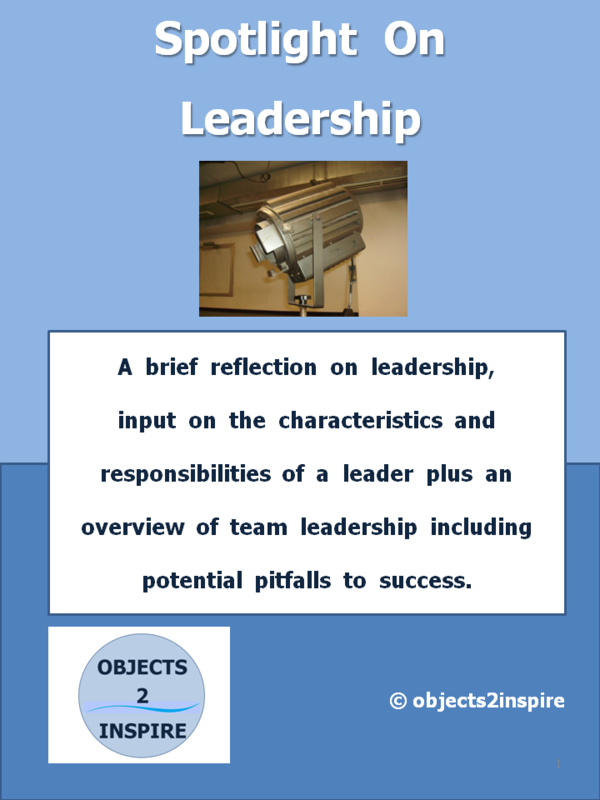 A brief reflection on leadership, input on the characteristics and responsibilities of a leader plus an overview of team leadership including potential pitfalls to success. Taking the lead, being center stage, is a part at times we all have to undertake. Spotlight On Leadership has been created to help students gain insight into this key role. With its emphasis on encouraging a positive attitude towards leading, the Spotlight On Leadership product is ideal for any development environment. Tips and reflections to help students get the most from the study session. Seven motivational sayings are included plus an overview of the benefits of slowing down and taking a break. 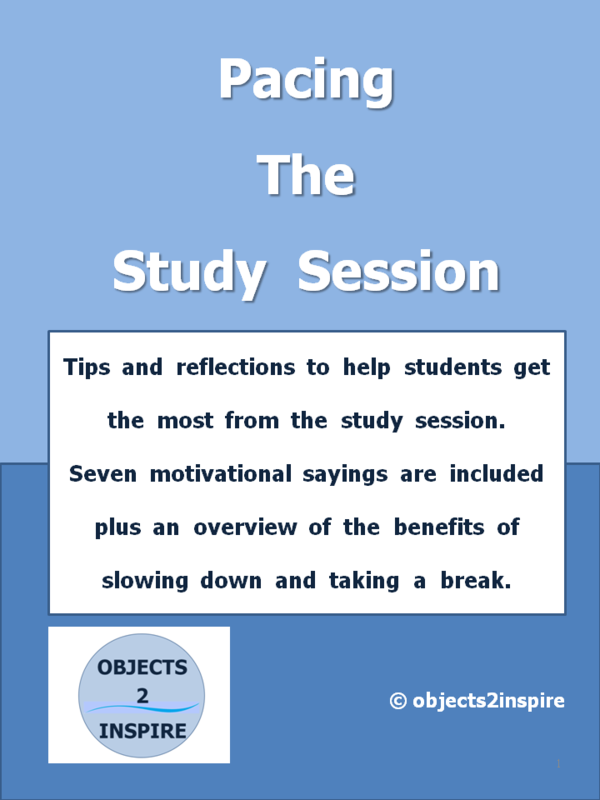 Pacing The Study Session has been created to help students view learning from an optimistic perspective as they progress with their studies. With its emphasis on encouraging a positive attitude towards personal growth, Pacing The Study Session is ideal for any development environment. 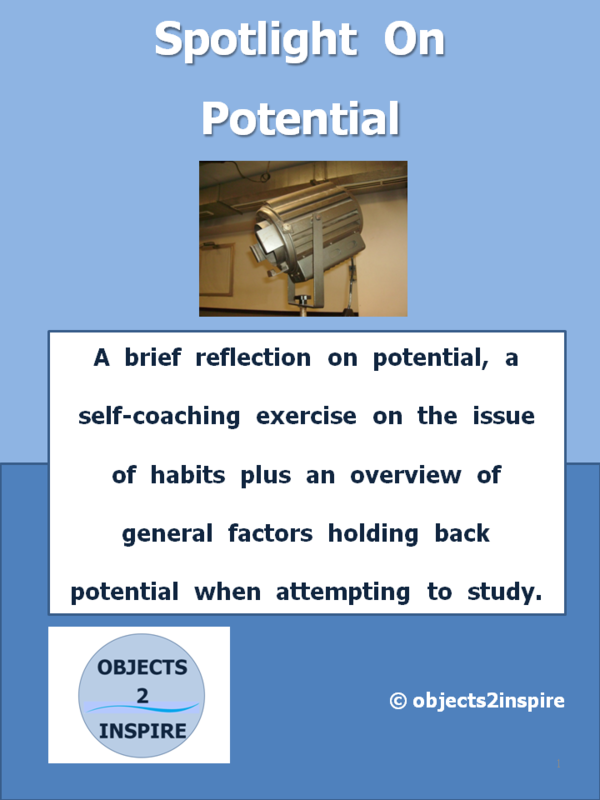 A brief reflection on potential, a self-coaching exercise on the issue of habits plus an overview of general factors holding back potential when attempting to study. Spotlight On Potential has been created to help students view learning from an optimistic perspective as they progress with their studies. With its emphasis on encouraging a positive attitude towards personal growth, the Spotlight On Potential product is ideal for any development environment. 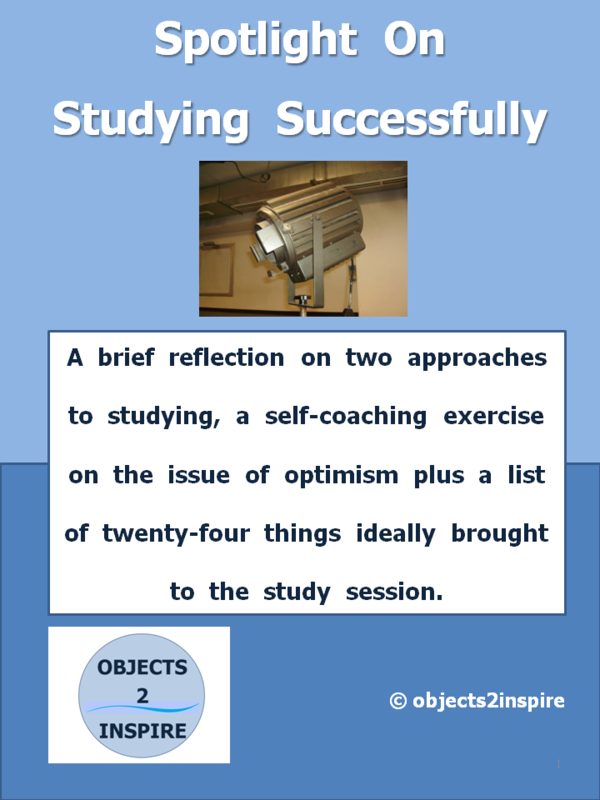 A brief reflection on two approaches to studying, a self-coaching exercise on the issue of optimism plus a list of twenty-four things ideally brought to the study session. Spotlight On Studying Successfully has been created to help students view learning from an optimistic perspective as they progress with their studies. With its emphasis on encouraging a positive attitude towards personal growth, the Spotlight On Studying Successfully product is ideal for any development environment. Eight delivery tips to facilitate success when speaking in public. Ideal for group communication exercises as well as a handout for individuals requiring to develop their presentation skills. The information is arranged in bite-sized chunks to provide easy input for reflection. This product can be used as either standalone material or as supplementary input for existing learning programs to assist students in their academic and non-academic activities. With its emphasis on encouraging a positive outcome when speaking, the Delivering information: speaking effectively product is suitable for any development environment. This English-Italian Office Glossary, arranged in alphabetical order, is a handy resource to facilitate communication in an office environment. It is ideal for role-plays, language lessons and business language training courses. This product can be used as either standalone material or as supplementary input for existing learning programs as well as a handout for individuals requiring to expand their business vocabulary in Italian. With its emphasis on comprehension, the Office Glossary in English and Italian may assist in overcoming barriers to understanding, increase confidence and enhance communication when using Italian. Seventy original questions, based on the theme of personal development, to inspire students to be present, live their potential and let their light shine. The collection covers various aspects of the learning process, ranging from choices to use of time, to provide input for student reflection. With its emphasis on encouraging a positive attitude towards life in general and education in particular, Questions To Inspire is ideal for any development environment. 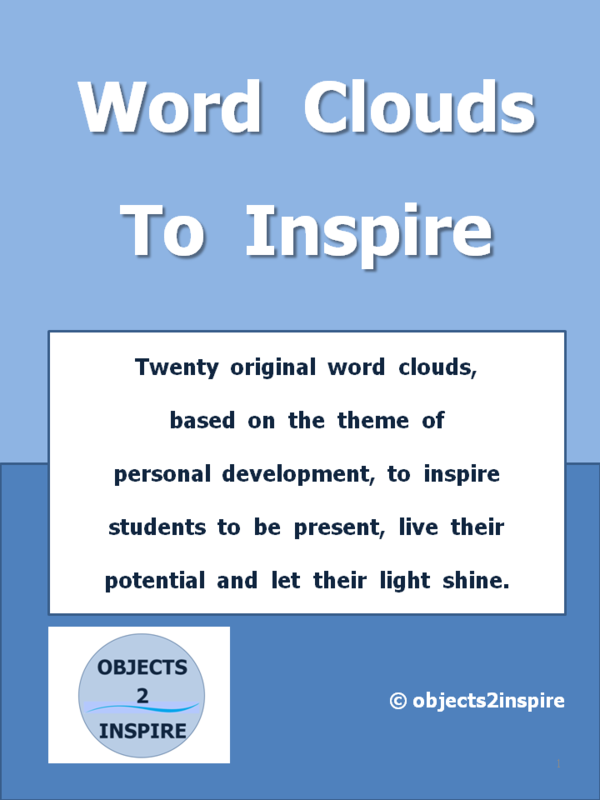 Twenty original motivational word clouds, based on the theme of personal development, to inspire students to be present, live their potential and let their light shine. The collection covers various aspects of the learning process, including adopting a winning mindset toward studying and reaching one’s goals. With its emphasis on encouraging a positive attitude towards life in general and education in particular, Word Clouds To Inspire is ideal for any development environment. With its emphasis on encouraging a positive attitude towards life in general and education in particular, Images To Inspire is ideal for any development environment. Being able to communicate in Italian when at the table adds to the pleasurable experience of visiting Italy. 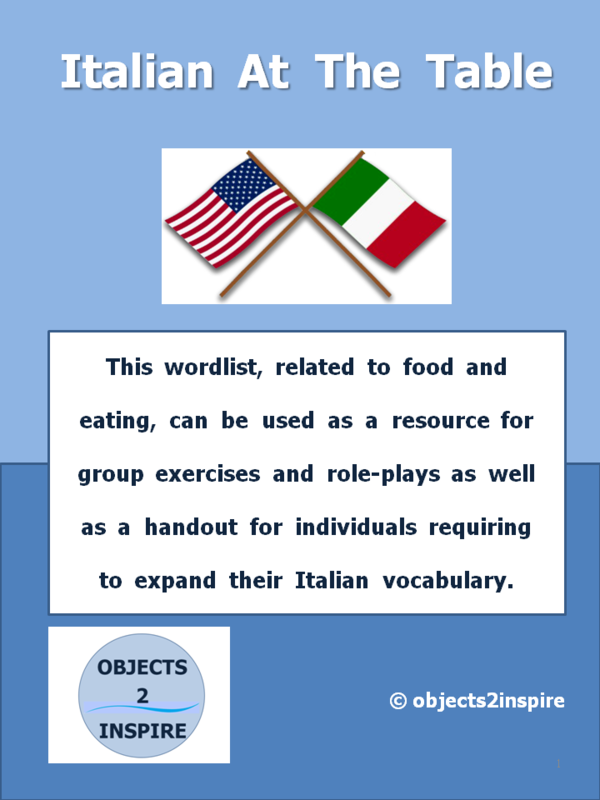 This handy wordlist, related to food and eating, can be used as a resource for group communication exercises and role-plays as well as a handout for individuals requiring to expand their Italian vocabulary. Italian At The Table is ideal as either standalone material or as supplementary input for existing learning programs. With its emphasis on speaking and comprehension, Italian At The Table may assist in overcoming barriers to understanding, increase confidence and enhance communication when using Italian. 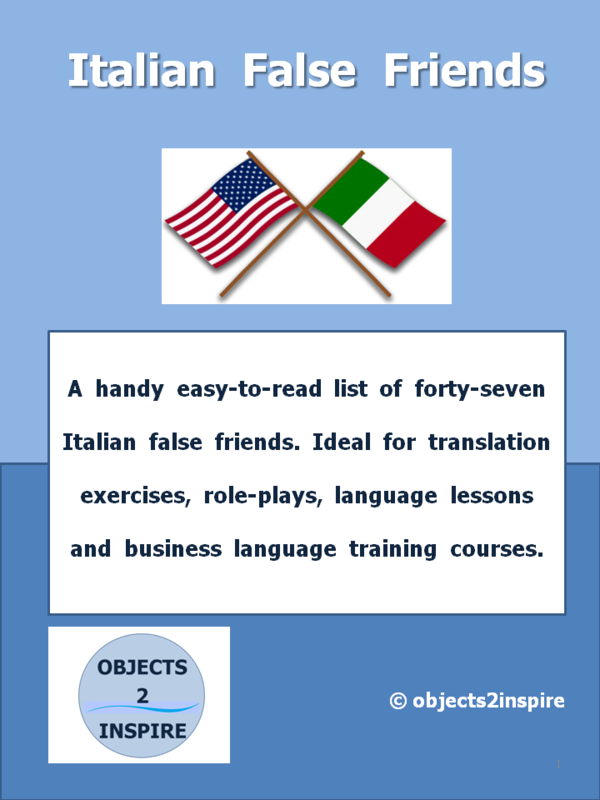 A handy easy-to-read list of forty-seven Italian false friends. Ideal for translation exercises, role-plays, language lessons and business language training courses. Many times we think we know which Italian word to use but we are often mistaken. For example, the correct Italian translation of “suggestive” is not “suggestivo” but “provocante”. With its emphasis on comprehension, Italian False Friends can assist in overcoming barriers to understanding, increase confidence and enhance communication when using Italian. Poetry To Inspire is a collection of fifteen original motivational poems, based on the theme of personal development, to inspire students to be present, live their potential and let their light shine. The poems cover various aspects of the learning process, including dealing with procrastination and adopting a winning mindset toward studying. This collection can be used as a resource for group discussions as well as material to motivate individuals to achieve success in their academic and non-academic activities. With its emphasis on encouraging a positive attitude towards life in general and education in particular, Poetry To Inspire is ideal for any development environment. Useful expressions, in English and Italian, to facilitate communication in an office environment. Ideal for role-plays, language lessons and business language training courses. The office phrases are divided into eleven sections, ranging from speaking with visitors to giving thanks. A comprehensive twelfth section deals with telephoning. This product can be used as either standalone material or as supplementary input for existing learning programs. 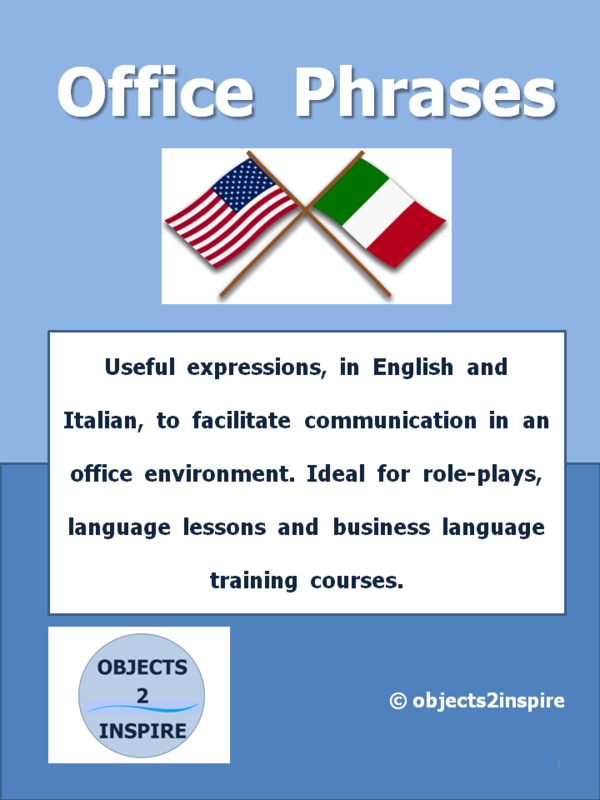 It is aimed at students who require a knowledge of office phrases in Italian. With its emphasis on speaking and comprehension, Office Phrases in English and Italian can assist in overcoming barriers to understanding, increase confidence and enhance communication when using Italian. With its emphasis on encouraging a positive attitude towards personal growth, the Study Guide and Learning Techniques product is ideal for any development environment. 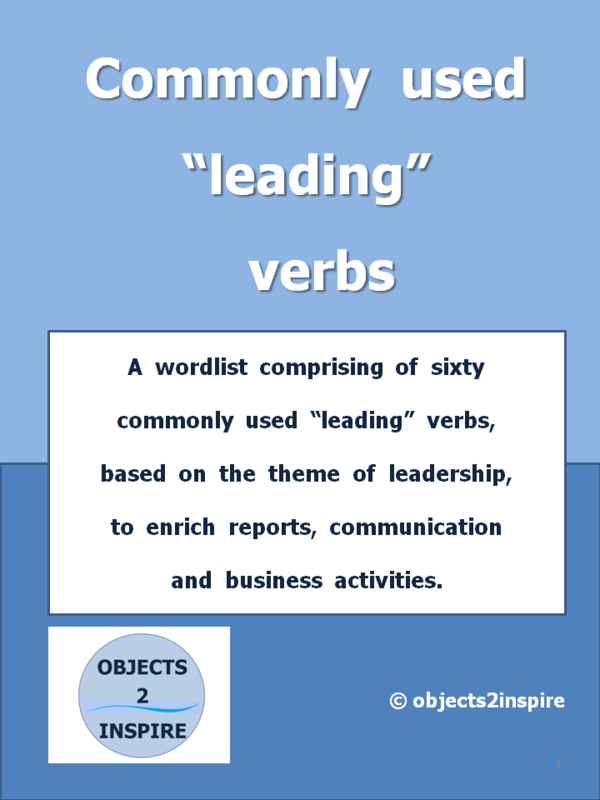 A wordlist comprising of sixty commonly used “leading” verbs, based on the theme of leadership, to enrich reports, communication and business activities. A basic explanation is provided for each verb. The verbs are arranged in alphabetical order, six per page, to provide input for student reflection. This product can be used as a resource for group communication exercises such as debates and role-plays as well as a handout for individuals requiring to expand their business vocabulary. With its emphasis on leading, the product is ideal for any professional setting. 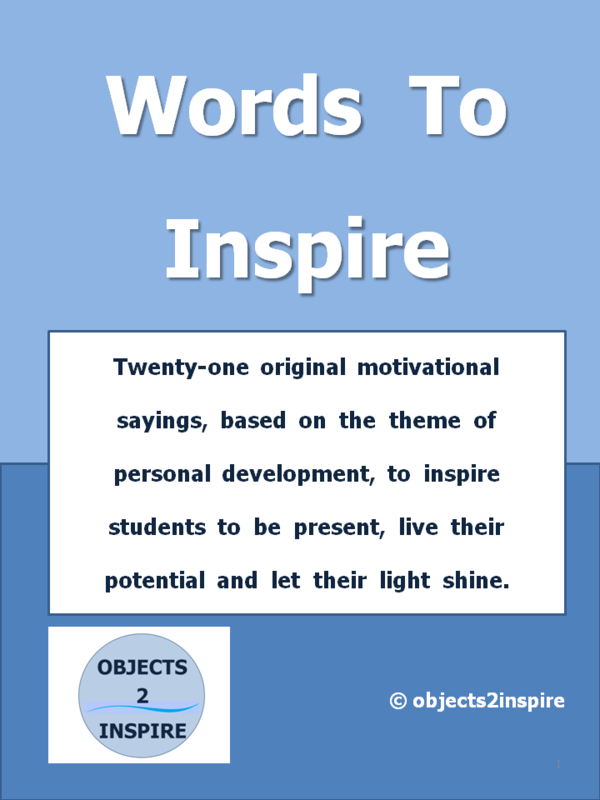 Words To Inspire is a collection of twenty-one original motivational sayings, based on the theme of personal development, to inspire students to be present, live their potential and let their light shine. With its emphasis on encouraging a positive attitude towards life in general and challenges in particular, Words To Inspire is ideal for any development environment.